Hi, Everybody! I am Kris Krell, and I am preparing to entertain you with interesting stories about the Spokane Region through the EWGS Blog. 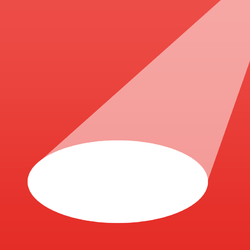 So stay tuned, and send any comments, kudos, or suggestions to me at krellkb1@gmail.com. 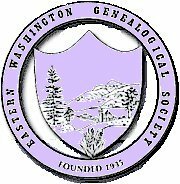 I am excited about this Blogging opportunity, and I look forward to getting to know and work with all of my fellow EWGS members! I moved to Spokane valley (not its own city then) late summer 1969, just before starting my senior year at West Valley High School. I remember going to the Dishman frequently with friends. I have a vague picture in my head of what the lobby looked like, but it’s been so many years, I’m not sure my recollections are correct! I didn’t think much about the Dishman in the following years as I was busy with college, studying, and working part time. The day that I noticed that the Dishman was no longer a family movie theater but had turned into an adult film movie house, was a sad day. Who would have thought this would be the final or one of the final business/es for the Dishman Theater! 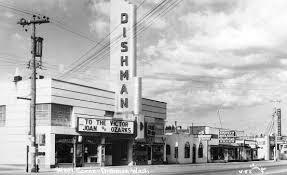 The Dishman Theater opened for business November 6, 1938, by a local valley resident pioneer—A.T. Dishman. Mr. Dishman owned and operated a rock quarry and founded the town of Dishman. In 1938, the theater cost $50,000 to construct, had a solid concrete exterior, and was built in the Art Deco style. The theater was the first in the Spokane valley, and the only theater in the valley for quite a few years. The theater was built to seat 516 movie goers, and the owners were proud of the $20,000 worth of equipment they had purchased including ear phones for hard of hearing customers. The first feature film shown was “Holiday", and starred Cary Grant and Katherine Hepburn. Beside local residents attending the movies, at that time, Sprague Avenue was also US 10, the primary route across the state, also known as Sunset Highway, so drivers stopped in at the theater too. There were a number of theaters in downtown Spokane, and those owners were reportedly quite upset with the owners of the Dishman Theater because of competition. Al Baker ran the theater from 1951 to 1966, and tried to keep the entertainment family movies. Al Baker felt that kids drove the adults out of the theater by the late 1950’s to 1960’s. By the mid-1970’s I-90 divided the valley and took business away from Sprague Avenue. The theater had several owners, and finally in 1978, the Dishman Theater became an adult film movie house. 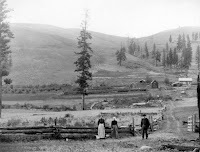 For years, my husband, Thom, and I take—sometimes weekly--drives through the Saltese Flats in the Spokane Valley. We seriously considered buying a piece of land to build a house, but that didn’t come to realization. Since then, many new homes have been built in the area across the road from where we would have built. Even though new houses have been constructed, the landscape otherwise remains as it was—open land--some with buffalo grazing, some with cattle wandering. In the summer months we see lots of deer and see ducks on several of the small ponds. As we drive along the winding road from Liberty Lake down into the Saltese Flats, we curve around the last corner before leaving the Flats. I always look up at the log home standing alone on the hill overlooking the landscape and the cattle—their large property. This is the Morrison Ranch. 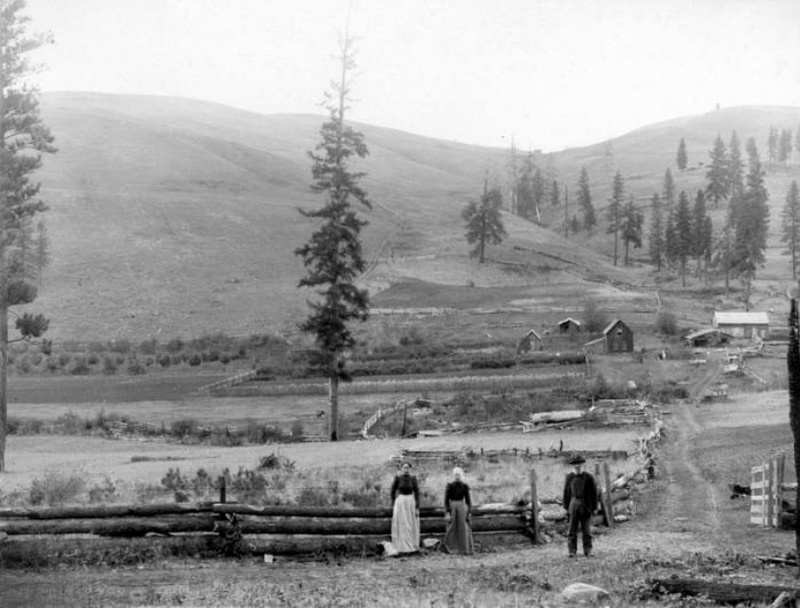 From 1894 to 1900, Saltese Lake--larger than Liberty Lake--was completely drained by Valley pioneer Pete Morrison. Morrison homesteaded the area including the lake. Morrison wanted the nutrient-rich land under the lake to grow Timothy Hay. Morrison spent years using laborers and horse teams to trench canals through the lake to drain it. Horse teams pulled a “fresno”, a bucket-like scoop, to dig the canals. Trenching was challenging, and canals totaled about 10 miles. The main drainage canal that continues to drain the lake to this day is known as Saltese Creek. The creek flows into a small body of water behind Central Valley High School known as Shelley Lake. The Morrison family still live on the original homesteaded property, and Timothy Hay is still harvested on the farm. The hay grown on the Morrison Ranch is still considered as some of the best of its kind in the area. The Spokane County Environmental Services is working to undo what Morrison accomplished. The plan is to restore the wetlands habitat in the hopes that this will also increase late summer water flow into the Spokane River, and that salmon and native fish will return. Bud Morrison and Central Valley School district are helping with the project to include multiuse trails, a bird habitat, viewing areas and an interpretive center. The center will be named in honor of his mother, Doris Morrison, a former school teacher.